The Toowoomba Repertory Theatre Society has been in continuous operation since 1930. 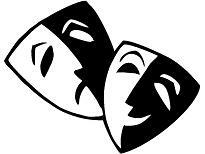 We are an amateur theatre group which prides itself on presenting top quality productions. Our cosy 100 seat theatre, located at 94 Margaret Street, has been fully owned by the Society since the mid 1960's. The society is fully self funded, based on an operational model in which most of the performance nights are made available to community groups (at a nominal cost) as fund raising events; and three nights are directly marketed by the society to the general public and members. The Society is an incorporated body with a formal constitution. An Annual General Meeting is held in February each year at which the committee members are elected for the following year. The committee consists of a President, Secretary, Treasurer, Administrative Vice-president, and six ordinary committee members. The committee is responsible for all administrative aspects of the theatre, including finances, building maintenance, membership, technical matters etc. Committee meetings are (usually) held on the second Tuesday of each month. All members of the Society are welcome at these meetings, though they should be aware that only committee members have the right to formally vote on any proposal. The production subcommittee is headed by the Production Vice-president and consisting of a number of other members of the Society nominated by the committee, meet as required to manage the production aspects of the theatre. The Production Subcommittee chooses plays, selects directors, actors and crew for each major production in advance of each calendar year. Casting is done from the current active list of financial members. The Society has a firm policy that only financial members may take part in activities of the Society. The Society presents four major productions and a play festival each year. Each production runs for 12 performances. Rehearsals are held some week nights and often Sundays (as it suits the cast and director) for at least 2 months, with extra rehearsals scheduled according to need. A few weekends are reserved for set construction and decor. The society also presents the two one-act plays judged as the best from over the 50+ plays typically submitted to our play writers competition. This festival runs during the week of the Toowoomba Carnival of Flowers in September. The society is usually able to fill the roles in its major productions from its existing membership, however open auditions may be held when the Production Sub-Committee feels that a particular role cannot be adequately filled from it's present membership, or when the Society feels that it needs to actively seek out new members.